I am so blessed to have met Jayde! I didn’t know that I had already met her twice- or at least my camera had- at WGI winterguarde competitions the past two season! 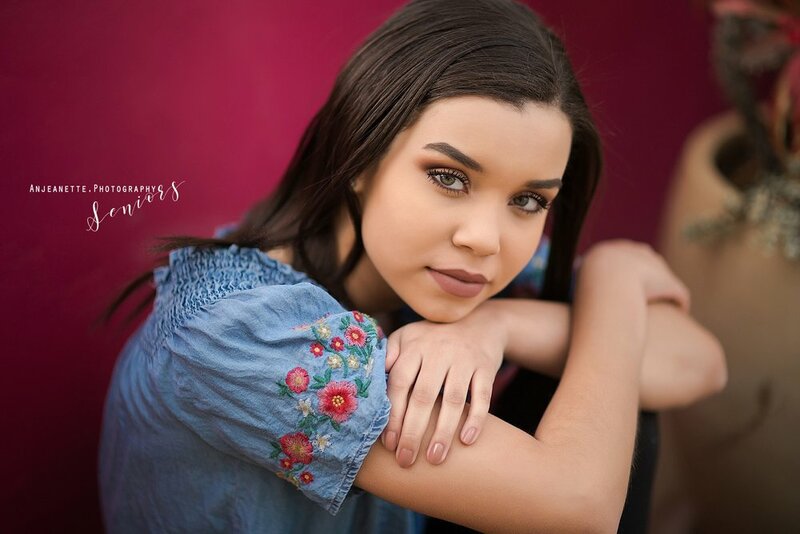 She is a fantastic young person, gorgeous in every way, and she did such an amazing job at her senior session with so many lovely looks and her spunky personality! 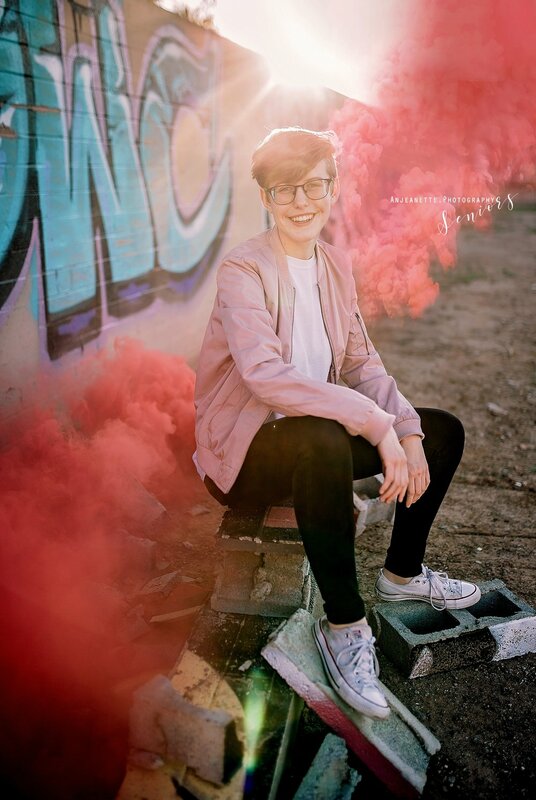 An artist and special soul need a special senior portrait session: complete with Arizona wildflowers, paint, and purple smoke! Congrats to Mackenzie on her many accomplishments and upcoming graduation! It has been such a pleasure getting to know you! Ashley did such an amazing job at her Senior Portrait session a few weeks ago! Her classic beauty and gorgeous smile made my job so easy-with the backdrop of the Anthem Community Park waterfalls we had an easy time capturing fantastic portraits to commemorate her senior year of high school. make sure you click HD on the video! Such a great, fun session with sparkling Carly!! Don’t her big eyes make you want to sing? Wonderful high school graduation senior session on the top of Peoria Az’s little Eastwing Mountain overlook with the bright Class of 2019 choir kid! So happy I got to meet Carly and her family, so excited to see what adventures this star takes through graduation and beyond!! Another reason I just can’t resist using BOTH beautiful kinds of light at my portrait sessions- I love the creamy artistic natural light looks but also oh my, oh my those dramatic skies! I LOVE it when seniors have a unique spot picked out- someplace they love and want to incorporate into their session. 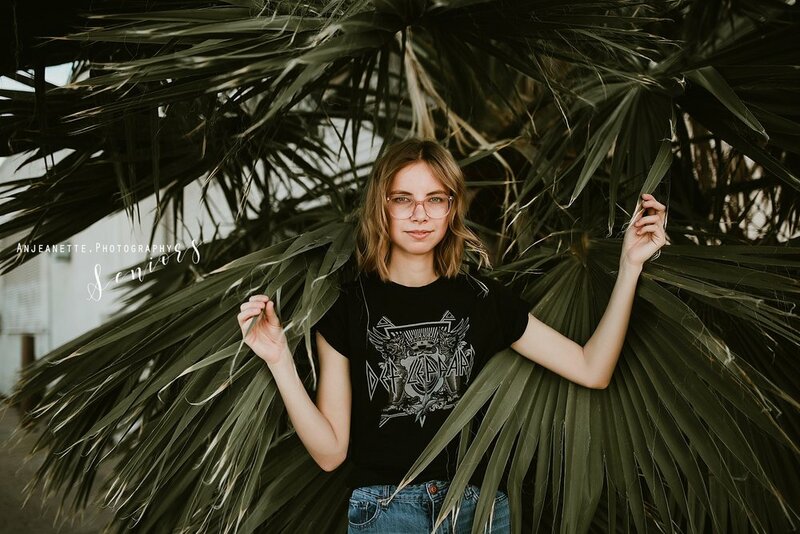 Custom sessions are pretty much my favorites because they always showcase the seniors personality and style- and hey thats why I actively pursue (or just nag) seniors to choose their location adventure! Added bonus: when the locations rock and are happy to serve as a beautiful backdrop- huge thank you to Restoration Hardware for being so open and inviting to us! Fantastic location choice Shelby!!! Isn’t she stunning??? 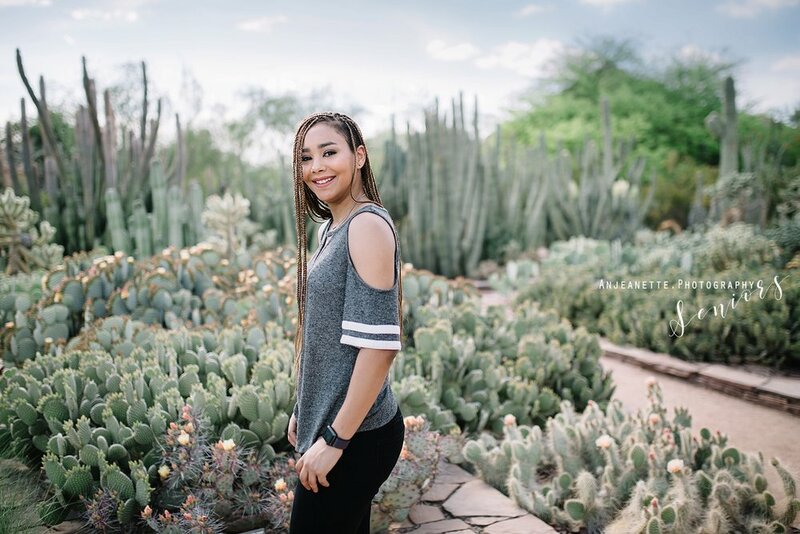 Fantastic time with Katie for her graduation pictures at the Desert Botanical Gardens at the beginning of the month. She was all ethereal beauty one moment, and Carrie Fisher spunky smiles the next! Now Senior photo session season is in full swing! (get it- golf joke) Can’t believe Katie and the rest of the Class of 2019 is just a few months from graduation!!! The splashes of colour and city vibe have def been the most popular spots this high school senior portrait session season! We are so blessed to live in a vibrant fun city with so many neat spots- and Mikaela rocked them all! From Roosevelt Row to Grand ave this Arizona girl stunned in her graduation photo session! We had some help from Mikaleas brother Aaron- he manned the Ice Light on a fushia setting to create the zig zag halo behind her head for this photo! 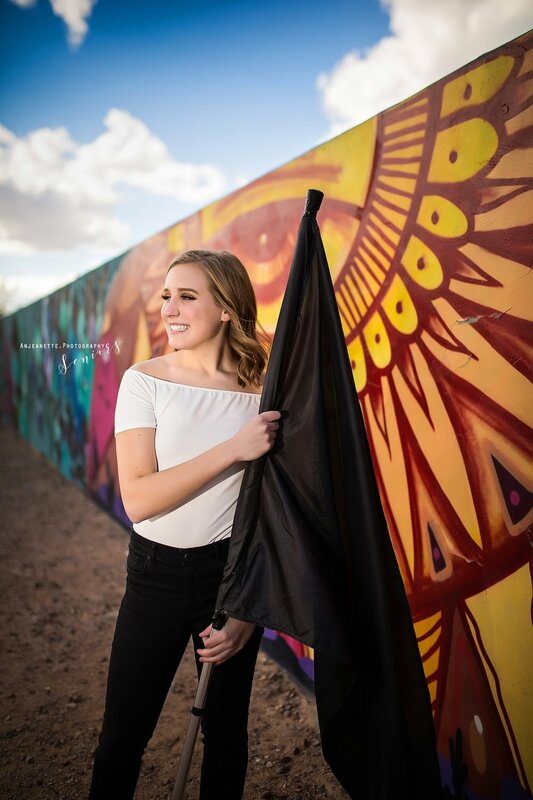 Phoenix had a surprisingly windy and cold- snowy even- and so Hannah’s senior session was a whirlwind of colourguard flags in the wind and golden curls. After warming in up in charming BeCoffee the sun popped out to end the afternoon session in warmth and reflections in Phoenix! Senior Inspire’s 50 to Follow in 2019- and only ONE of 10 selected in the guys category! This weekend we’re featuring our 50 Senior Photographers to Follow in 2019! We’ll be featuring 40 winners in the senior girls category and 10 in the senior boys category. 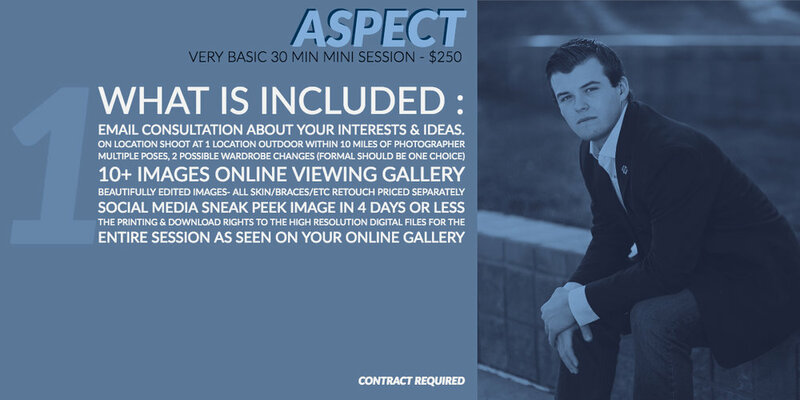 See the rest of Davin’s amazing senior session here! Now offering three packages for 2019 each with easy peasy pricing and keep it simple downloads included- as well as an 11x14 wrapped canvas of YOUR favorite image with the top two packages! Look below to choose your adventure! The other night I got to go on a photography ‘playdate’ - you know us photographers, the glitz, the glam, the dump. Yep, we went to the dump! Shout out to Valerie Waldvogel for styling, providing amazing models, and securing the most wondrous of locations: aka the Glendale Dump for her new monthly styled sessions “What I See Shoot” aimed at photographers on every leg of their journey from noobies with their first dslr to more seasoned, professional photographers. Valerie used this session to provide education and experience to a group she taught throughout the afternoon , and to just boost camaraderie with all of us- be it on on manual mode with our own photography businesses or first ‘real’ camera.The shoot was a reminder to challenge oneself - find beauty in any situation, any location. I had a great afternoon meeting everyone in my group, folks in other groups, and just enjoying the warm sunshine through the lens. Getting out and practicing and playing isn’t something you ever ‘get too good’ for. Creative meet ups like this one Valerie organized keep the passion alive! Always learning, always experimenting, always evolving! These beautiful models and dresses have me like…PROM…though!! Moody or bright and airy- I love prom season! It is just around the corner believe it or not, and I already have booking for April 27th…make #PROM2K19 plans today! 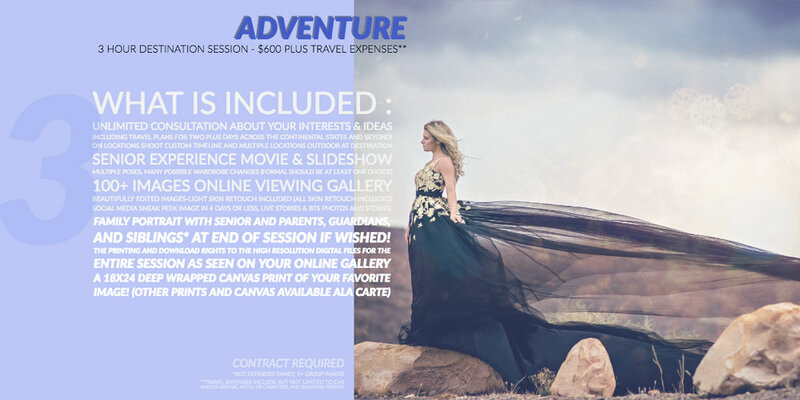 Want to connect with VW Photography and come to a shoot? Getcha links to tickets here! Before I moved to Arizona I did not even know Aloe bloomed! Right now the city and gardens are lush and green in the state’s heavenly “winter” season. Click here to check out the Botanical Gardens today! The Shoot & Share contest! So in between Sportsball commercials I will be click happy voting for and being inspired by the contest entries! Voting starts Feb 1st and ANYONE can vote!